Yikes, I should just let this Web log go. I never write in it any more. I have been so busy and then often when I try to write the computer messes up on me and I end up walking away. Maybe I should make a last stand. So often through the week I walk around with something on my mind I want to write about. Today it is Schubert songs arranged by Liszt. I have been working on a few of them in my spare time. I am doing "Das Wandern" and "Der Muller und der Bach" from "Die Schoene Mullerin." I also have "Wohin" lying around and that will be next. 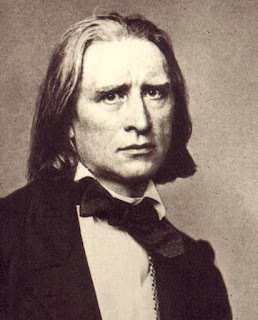 The challenge with these pieces of course is that you have to keep them flowing smoothly at the same time that Liszt is bending and stretching your hand in all these different directions. Listen to how Rachmaninoff pulls it off. What a romantic he must have been, you know? The way he plays the Serenade. His hands are not always together which ordinarily would bug me but in this case you have to forgive it,. And I like how he does "Das Wandern." A few other pianists I listened to were too clinical with it. Too staccato, too, with the introduction. I have listened to that song cycle millions of times and that intro does not have to be choppy. Anyway we are back to the idea of David Dubal, play the piano daily and stay sane. I get my little half hour with these pieces as long as I have gotten in my other work. It is a kind of reward. It is funny because you walk over to the piano with a glass of wine and an hour later the wine is still sitting there. That does not happen too often!